Software engineer, opera singer, skier, sailor, baker. Is there anything he can’t do? In butter tarts, raisins or no raisins? "Raisins. Because I like raisins." 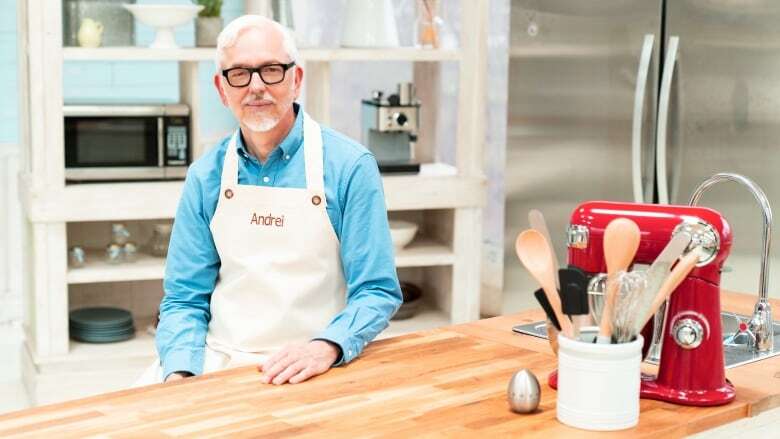 Andrei Godoroja says baking is like magic: if you know the right spell, you can make wonderful things come out of the oven. He's been fascinated by the world of baking since watching his grandmother in the kitchen. "My sisters and I were kind of spoiled because we grew up with good-quality home baking," Andrei says. "At a very young age, I tried to continue [my grandmother's] legacy and started to experiment with basic baking." Andrei is a man of many talents: in addition to being a software engineer, he's also an opera singer and an astronomer. In his downtime (when he's not baking), Andrei is also a skier, a sailor, and an outdoorsman. In the winter, he often brings baked goods to his ski club as a post-training snack. "Baking is a creative outlet for me," he says. "I get to make something tangible and then — if it's successful — get to make people happy when they eat it. My day job is creative as well, but I design and build structures of abstract data, which are invisible to most people." "If I'm going to a birthday party, no one would appreciate my arriving with their life modelled as a set of relational transactions as their gift. But everyone loves cake."